Summary: This PandaHall video tutorial will show you how to make jewelries and decorations with tassels, glass beads, and twisted chains. 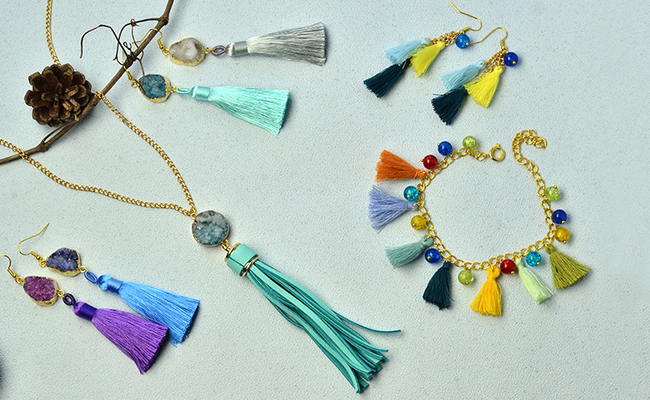 If you are searching for tassel DIY ideas, never miss this one! As you can see from the video tutorial, these tassel jewelries and decorations are very delicate and cute. The process is very easy and just requires some patience. Come and learn with us. 2nd Find the middle of the chain and connect the pendant with the chain with another jump ring. Now the necklace has been finished. And in the same way we can make some tassel decorations. 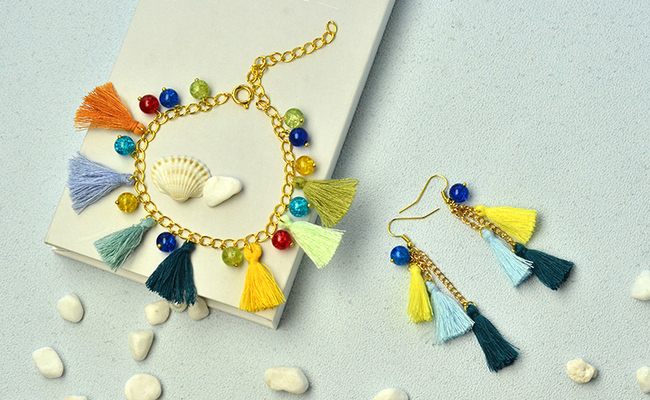 You only need to connect the materials including quartz beads, tassel and hook together with jump rings. Or if you learned this already and you are seeking to make something more difficult, then follow this and make the bracelet. 3rd Add the third bead and a tassel. 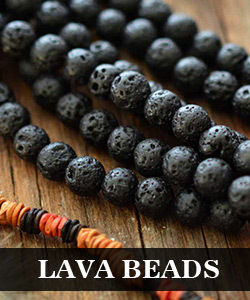 Remember not to add all beads to the same side of the chain. Change the side sometimes. Here is the final look of the finished beaded bracelet. 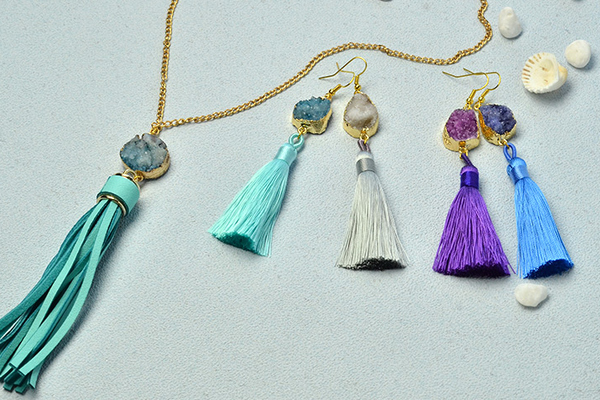 And the last one we are making today is a pair of tassel earrings. The instructions are as follows. 2nd Add three small tassels to the three pieces of chains respectively and the earrings have been finished. As we said, they are not that hard right? Come and make with us together!